This past New Year’s Eve, we hosted a Speakeasy themed party. With The Great Gatsby movie set to release in just a few weeks, I thought it would be a great opportunity to share some of the party elements I didn’t fully address in the original post. So get ready for a week of Speakeasy style! 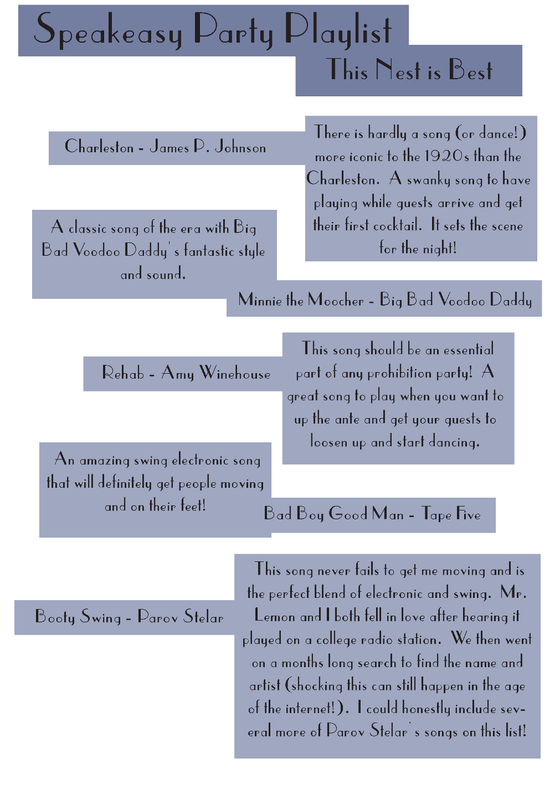 This entry was posted in Party Inspiration and tagged new year's eve, party playlist, speakeasy. Bookmark the permalink. We went to a speakeasy party once! Everyone dressed up and we had a bunch of signature cocktails, it was a blast!